Restraining orders can become a significant nuisance in the life of the person against whom it is issued, yet they also serve an important purpose. The state of Florida provides victims of domestic violence with resources to protect them and facilitate the process of leaving dangerous relationships. Those who are allegedly suffering due to domestic violence may seek a domestic violence injunction in civil court, also known as a protective order or restraining order, which will set rules for the alleged abuser to keep his or her distance from the victim. Petitioners may seek one of three types of orders for protection against domestic violence in Florida. Emergency protective orders (EPOs): an EPO is a type of order for protection that can be put into effect immediately, providing victims with instant protection against violence, stalking, harassment, and more. This type of restraining order is only valid for five days. Domestic violence restraining orders: Such restraining orders last a few weeks at first, but a court can decide to implement them for several years. Criminal protective orders/ No Contact orders: These orders are frequently imposed in criminal cases involving allegations of violent offenses like assault, battery, and domestic violence. The court may impose a no-contact order as a condition of the defendant’s pretrial release. It bars the defendant from communicating with the petitioner. Any of these protective orders may impose several restrictions for a defendant’s behavior in connection to the alleged victim. Violating any rules in a protective order is a criminal offense. If you have been accused of violating a restraining order in Orlando, seek legal guidance immediately. A defendant may inadvertently violate a judge’s order when more than one judge issues an order against him. A defendant who communicates with a person who has a no-contact order against him violates the order even if the person contacted him, to begin with. Responding to communication from the petitioner is a criminal offense. Attempting to get in touch with the petitioner through a third party when the petitioner has a no-contact order against the defendant. Contacting the petitioner because he or she granted permission for communication. The no-contact order specifies that a defendant may not communicate with the petitioner in any way. The petitioner’s receptive feelings at the time of the communication do not change the terms of the order. 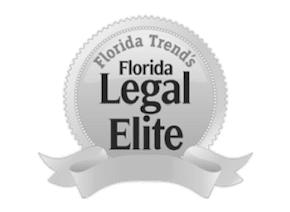 Generally, violating a domestic violence restraining order in Orlando is a first-degree misdemeanor crime which can lead to a period of up to one year in jail, steep fines, community service, and more. If you face charges of violating a restraining order for domestic violence in Orlando, you need the help of an experienced defense lawyer right away. There are many ways a restraining order violation can upset your future, not least of which is the added credibility it provides the petitioner in court. In domestic violence cases, you deserve tough representation by attorneys who won’t give up on your case. Call The Umansky Law Firm at (407) 228-3838 for a free consultation regarding your protective order violation in Orlando. Our team looks forward to providing you with a second chance.